For those of you who haven't won, don't worry I'll be doing a lot more giveaways. 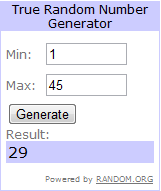 So for the facebook giveaway the WINNER is JENNIFER HUANG. The Elf Cosmetics Giveaway WINNER is Rabia Akhter. I have sent out an email to both of you guys so please respond within 48 hours or I'll be picking a new winner.